Incomedia WebSite X5 Pro 14 Giveaway Contest! Incomedia has provided DCT with five (5) licenses for their WebSite X5 Pro 14 software. Each license is currently valued at $199 (US). Thank you, Incomedia!! This contest has ended. 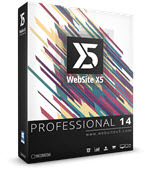 You can read about it at WebSite X5 Professional 14 Giveaway Contest. Steganos has kindly offered DCT readers a chance to win one of five (5) licenses. This is a great offer, so make a note of this contest on your calendar. This contest is scheduled to begin on Monday, November 6. Heimdal Security has offered DCT readers five (5) licenses for their Pro Security program. Each license is good for three years and currently valued at $87.99 (US) each. This software can run along side your current Antivirus and/or Anti-malware program without conflict. 1. Closing vulnerabilities and mitigating exploits by keeping vulnerable 3rd party programs (Flash, Java, browsers, etc.) always up-to-date. According to US-CERT, that stops more than 85% of attacks targeted towards vulnerable software. 2. Blocking incoming attacks, ransomware, banking trojans, phishing attempts, drive-by attacks, etc. – by scanning & filtering all your HTTP, HTTPS & DNS traffic. This contest is scheduled to begin on Monday, November 20th. Stay tuned so you don’t miss out on this offer! I currently have no further information on this exciting new version, but you can check out the Uninstaller 7 Page and get a great pre-order value, too! As new information comes along, I will update this post.